Spark up a conversation about the free software philosophy with this fun illustration of the four freedoms! Through December 31, 2017, you can get yours as a free premium by joining or renewing with an annual FSF associate membership of $120 or more (this promotion started with the launch of our fall fundraiser on November 14, 2017). 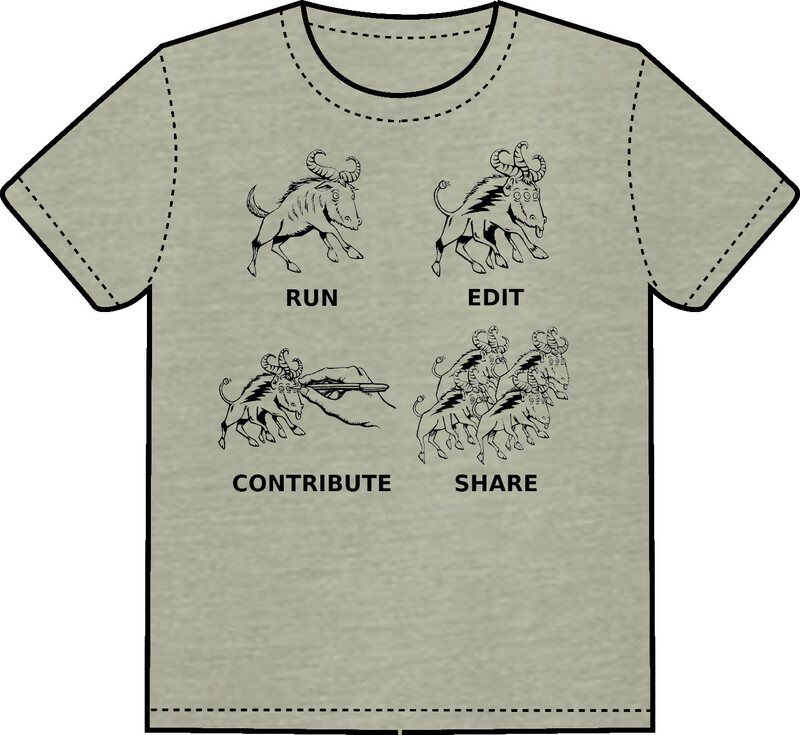 Or, wait until spring 2018 to buy one at the GNU Press shop, or the Libreplanet 2018 conference! This design was created by illustrator Mike Shea and the FSF's Outreach & Communications Coordinator, Dana Morgenstein, and will be printed on heather stone grey T-shirts from Bella + Canvas. It will be available in straight-cut or fitted sizes, and is made in the US in a WRAP-certified facility. If you want to be the first to hear when the four freedoms shirt is available for sale, join the GNU Press mailing list. As always, if you can't find something in the store but think we should offer it, please add your suggestion to our Ideas page.